The lovely Miss James of Bleubird Vintage posted a few pics via Twitter of her gorgeous daughters Gemma Bird and Milla Plum in some adorable little Bobo Choses pieces from our shop. They are so sweet! You can also follow James on Twitter HERE and Monkey & The Bug HERE. Monkey & The Bug has a whole slew of cute new pieces in the shop. Be sure to stop by and check it out. We are obsessing over these lovely things from Wovenplay. The detailing is just exquisite! Feather Headband. Rococo Tutu. Feather Headband. Ribbon Leggings. Tree Leggings. Gem Leggings. Lola Suit. Starfish Swim Trunk. Which piece is your favorite?? My family took a lovely family vacation to Sanibel Island last week. Sanibel Island is located in southwest Florida, off of the coast of the Gulf of Mexico because of the island’s location, the ocean water is calm, warm, and ideal for swimming. The beaches are made of soft sand and brimming with sea shells. The term “Sanibel Stoop” was invented to describe seekers hunched over, looking for the perfect shell. Our family owns a condo at the Sundial Beach Resort. It is extremely family friendly with four swimming pools, child dining options, organized children’s activities, and an eco-center which houses a small selection of marine life. The best part is the resort is located on the beach, so there is easy access to the sand and sea. 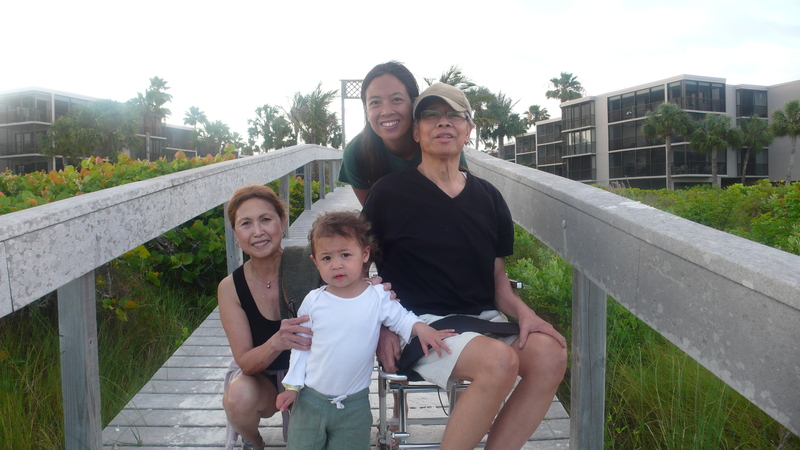 We met my parents, Lou and Rudy, at the Fort Myers airport, and made the quick 25 minute drive to the island. 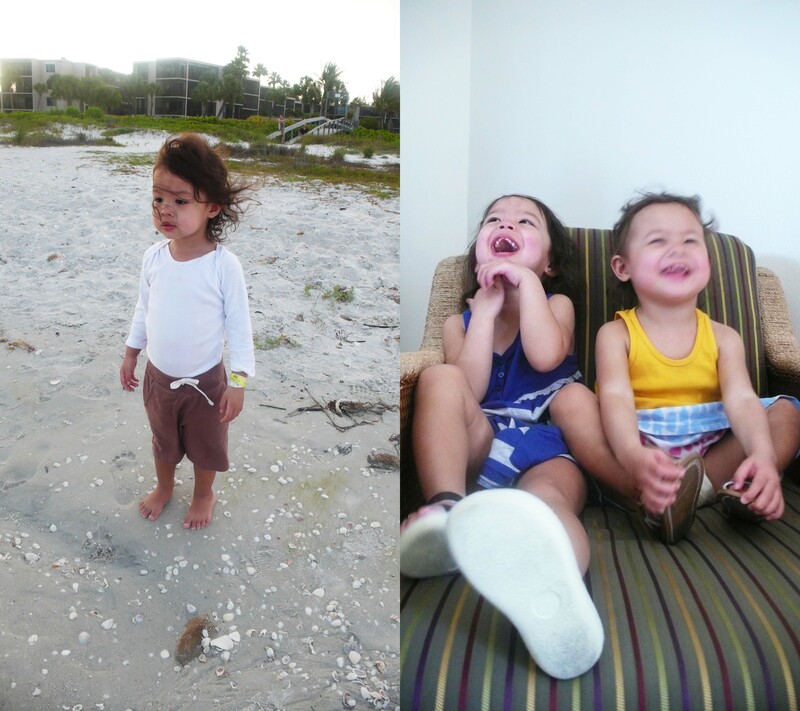 My parents started taking me and my younger brother to Sanibel when I was 5 years old, so it was surreal to now bring my own children at age 2 and 1/2 years. 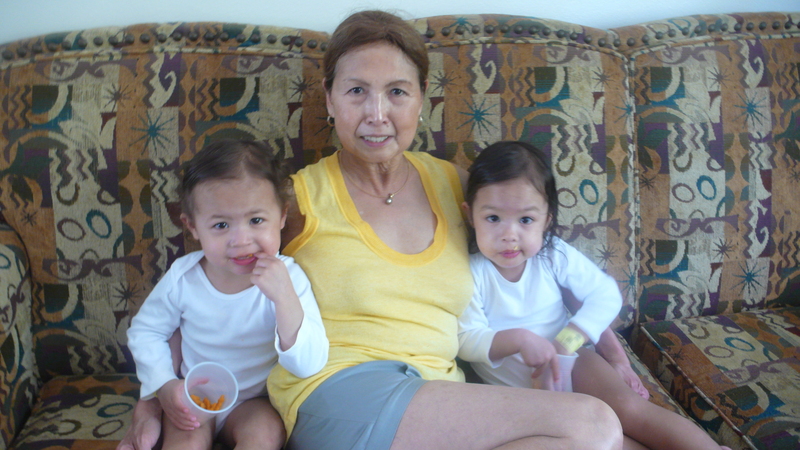 My parents are known as Lolo (grandfather) and Lola (grandmother). These are Filipino terms. It was particularly important for the girls to spend time with Lolo as he suffered several strokes over a year ago; the presence of the girls is very theraputic for him. The girls are very compassionate toward my Dad, helping to push his wheelchair or assisting with handing him his medication. Both girls enjoyed the beach and the pool, although I think there was slightly more draw to the pool with its water slide and abundance of other kids. Finally, the girls got a lot of experience eating at restaurants. My feeling is that the more they practice, the more comfortable they will become with the process. This was also an opportunity for them to try new things, like grouper fish sandwiches, grilled shrimp, lemonade, and key lime pie. 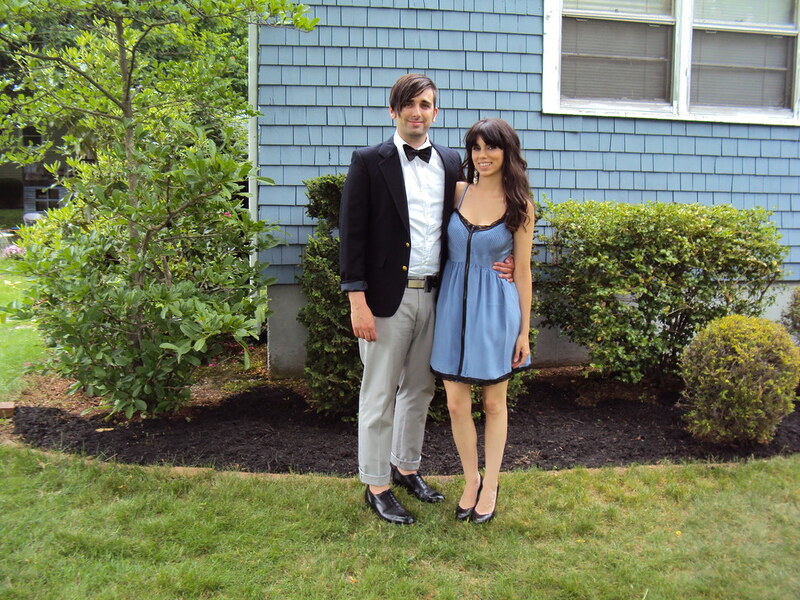 The vacation was great fun; although my husband and I were pretty beat when we made it back to Boston. Most importantly we got to spend time together as a family. Running not one, but two businesses can be hectic. It was nice to slow down for a bit. This week for our “Think Big” we decided to show off the Opus “Harem Pant”. Harem Pants are great because they are roomy and comfy, making them a good choice for the always on the go kiddo. They are a fantastic alternative to a legging or sweat pant if you are looking to shake things up a bit! 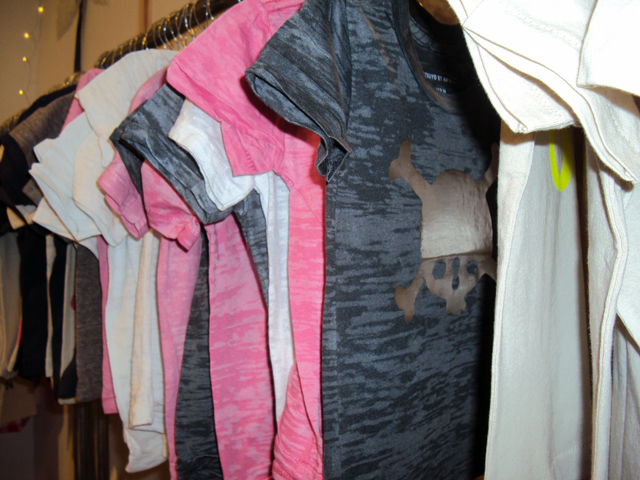 We are absolutely loving the brand, Opus. Their modern, sharp lines contrast with pretty florals and supple fabrics to create an amazing juxtaposition of hard and soft. It is equal parts sugar and spice. 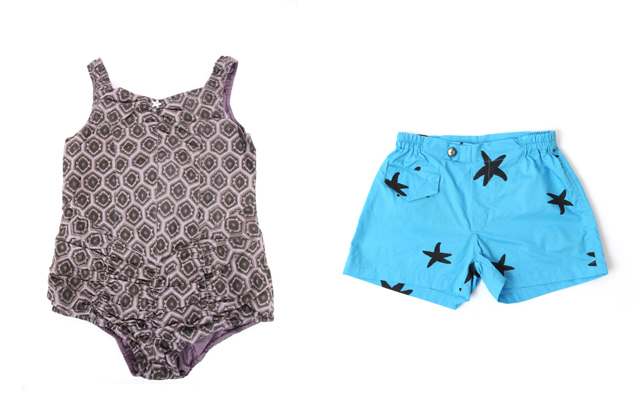 We love a line that retains a childlike sweetness with a more hip, urban feel. This is exactly what Opus accomplishes. Here is the stunning, Aussie, pop singer, Kylie Minogue. She is wearing bright harem pants, gladiators, and a simple white tee. We recreated the look and added a sweet Atsuyo et Akiko necklace and lovely, little leopard print sandals. Top. Necklace. Harem Pant. Sandals. Sienna Miller is incredibly chic and effortless. We love the simplicity of what Sienna has done with her harem pants and how she added the pop of color on her feet. This is so easy to achieve yet it looks like a million bucks! Tank. Scarf. Harem Pant. Flats. There really isn’t a girl cooler than Gwen Stefani. We love her unapologetic individuality and edgy style. Gwen can take any trend and make it her own. Our favorite part of this ensemble is that you could dissect it and wear each of these pieces with so many other things! Tank. Belt. Harem Pant. Sandals. Have ideas or suggestions for our next Think Big? Hey everyone! I am super excited to be guest posting here on Monkey & The Bug. 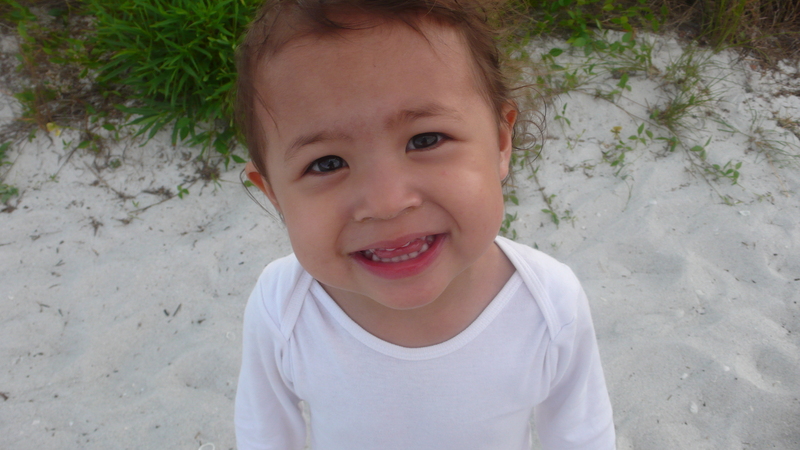 My name is Adriana and I am a freelance writer/mommy blogger with an insanely adorable little boy named Hendrix. 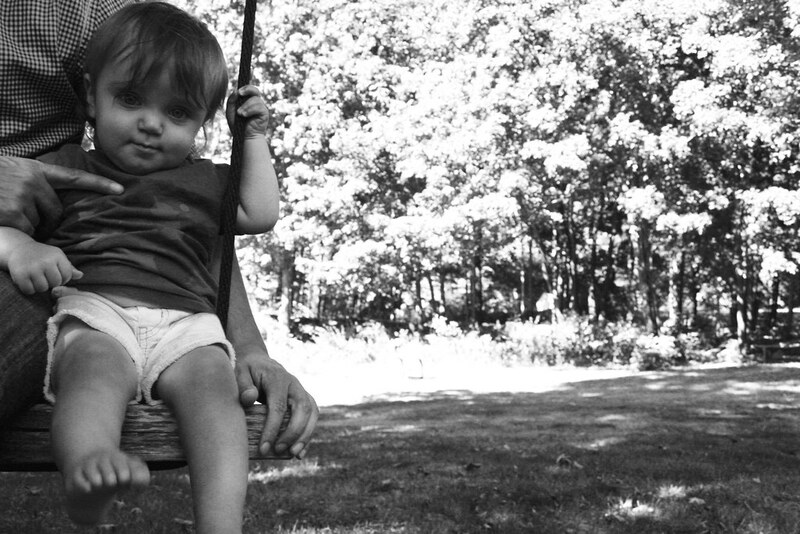 I am married to Michael, a DJ and daddy blogger, and I have a sweet as pie, step-son named Christian. Before I wrote about my mothering adventures I was a fashion writer and contributed to numerous online mags and print publications. I’m a huge fan of Stel’s and M&TB so it is an honor to be here. I’ll be helping out with some “Think Big” posts and a new feature we call “When worlds Collide”…but more on that later. I recently moved from Boston, MA to Providence, RI into our dream home, an expansive loft with tin ceilings, exposed brick, and lots of light. When I am not busy wrangling my son/writing about wrangling my son you can find me with a stack of design magazines or spending hours on pinterest looking for inspiration for my new home. I love fashion and it’s always been a huge part of my life. For me it is not about a piece of clothing or a pair of shoes but about a lifestyle and my personal aesthetic is something I use to express who I am. I don’t believe in segregating design and fashion from my life as a mother. They bleed into each other constantly. I’ve found that continuing to invest in my interests has made me a better parent. Check out my adorable family below! Easter is right around the corner. Here are our picks for the cutest toys and clothing to fill up your baskets with. We love the idea of buying beautiful things and mixing them with fun candy and classic toys like bubbles and side walk chalk. 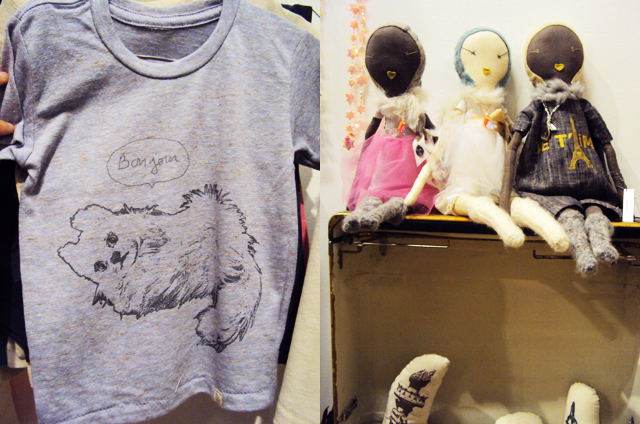 We have been big Atsuyo et Akiko fans here at Monkey & the Bug since our shop first opened. While at Playtime NYC we were really excited to catch up with designers Atsuyo Yang and Akiko Mukae, and get a glimpse at what is to come for the super sweet brand. 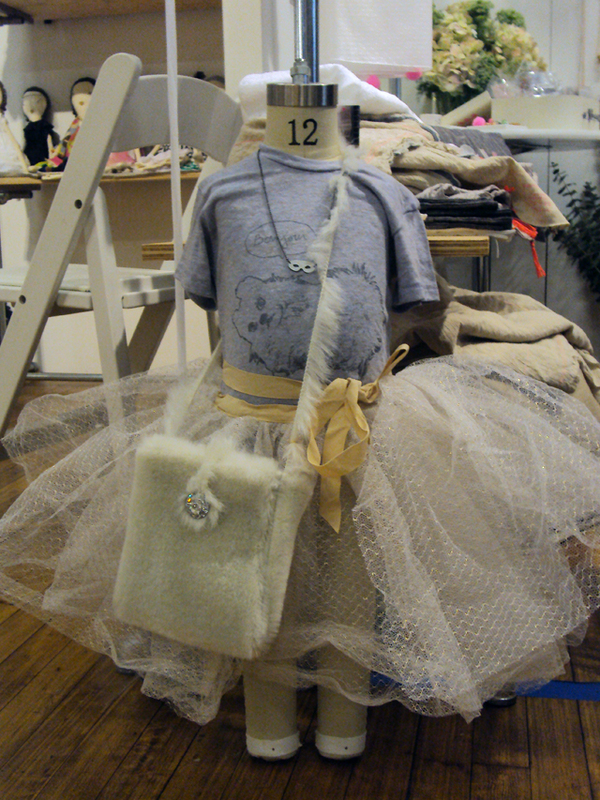 Check out this limited edition tutu from Atsuyo et Akiko.Positively stunning! Atsuyo et Akiko create whimsical, beautiful things for both the home and body. No doubt, one of their standout products are the delicate, playful jewelry in teeny tiny sizes just right for your little one. I love their tee shirts which are light, airy and as soft as a cloud. 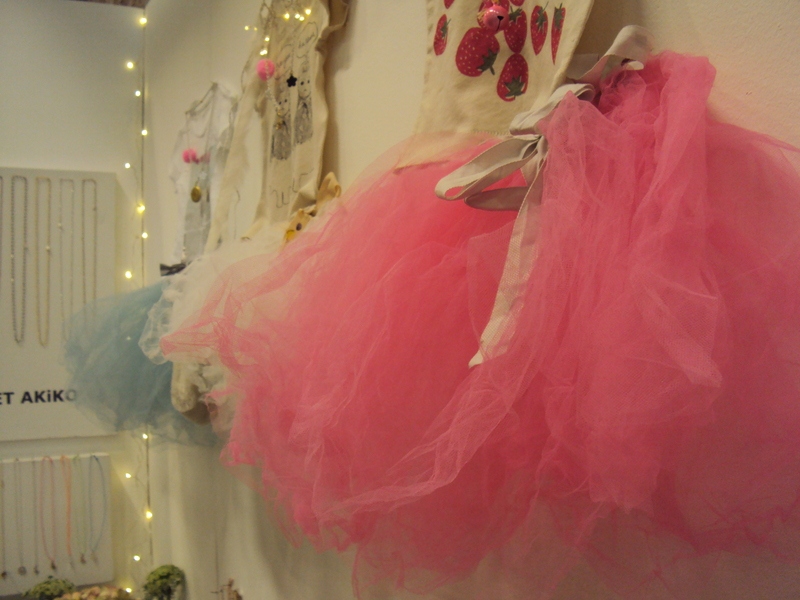 They also make whimsical tutus for the budding ballerina, great for dressing up or for when having professional pictures taken. 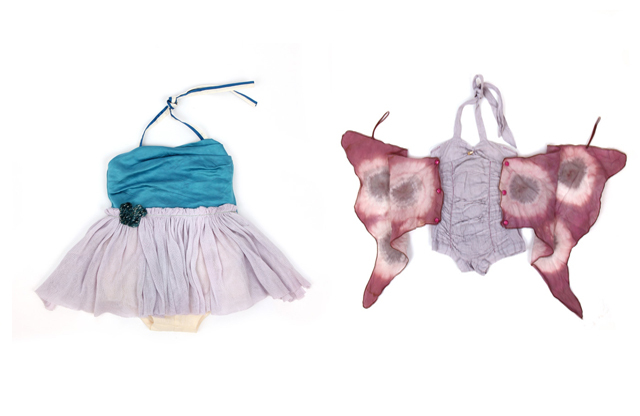 Monkey & The Bug currently carries a pink tutu in our shop that is to die for! 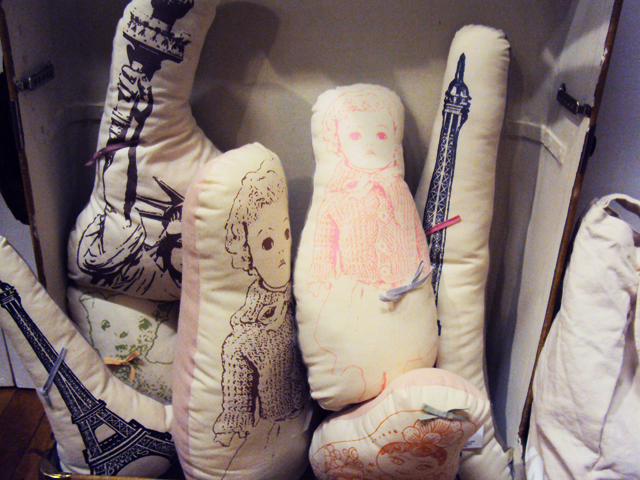 In the past Atsuyo et Akiko have collaborated with Jess Brown to make some exceptionally adorable dolls. The wildly popular collabo is back for another run. As always, the duo designed some fantastic pillows. It was hard to pick a favorite! How sweet is this little pile of pillows? We were blown away by all the darling little pieces Atsuyo et Akiko have created. They never seem to falter. Everything is just perfect!